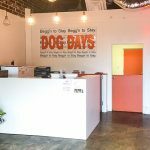 Dog Days Atlanta offers Taste of the Wild dog food for sale at all three locations. Taste of the Wild is an all-natural, high quality, grain-free dog food to help ensure the best diet for your dog. We also carry the best in all-natural and/or organic treats, bones and granola for you to reward your pooch for being such a great friend. 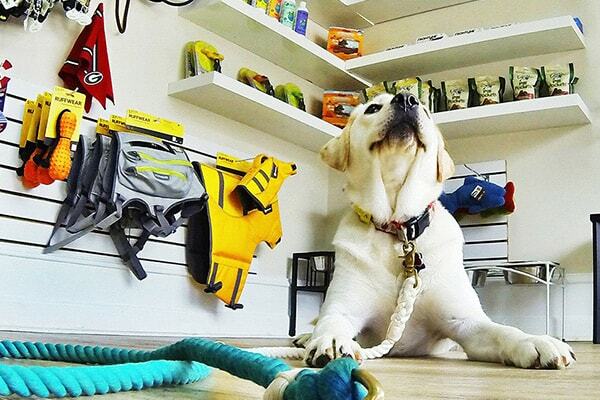 In addition to food, stay up to date on all the latest and greatest seasonal accessories and toys for your pup. 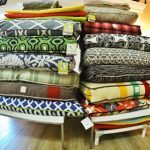 To keep your dog and home looking fashion-friendly, we also offer many styles of beds with options of different fabrics and designs. 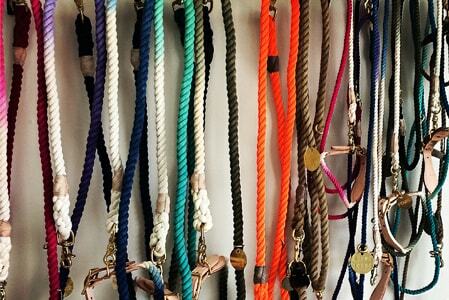 Along with beds, Dog Days Atlanta features a selection of high-fashion collars and leashes from Bella Bean, Up Country, Dublin Dog, (as well as others) to keep your dog looking best in show! We also offer a variety of apparel including shirts and hats for the best pet owners on the block! 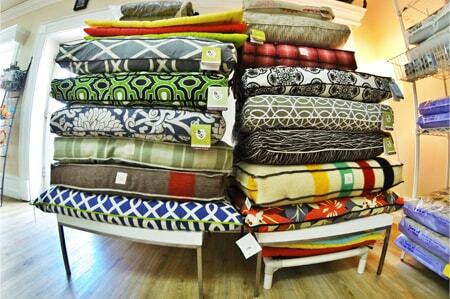 Come stop by the lobbies to check out our awesome boutiques today! 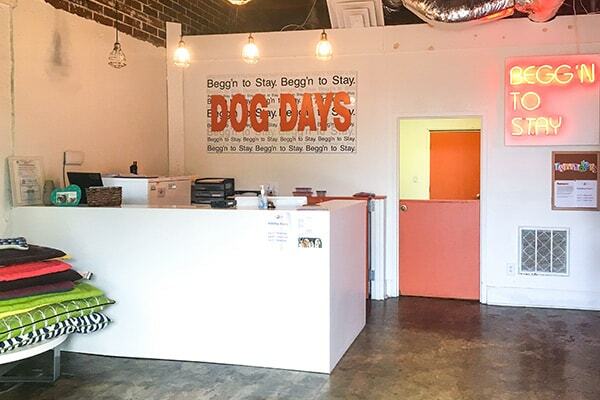 Dog Days Atlanta offers the highest quality dog foods from Orijen, Primal, and Taste of the Wild. These are all-natural and/or organic, healthy brands with no added fillers and preservatives, grain-free and even raw foods to help ensure the best diet for your dog. We also carry the best in all-natural and/or organic treats, bones and granola for you to reward your pooch for being such a great friend. To keep your dog and home looking fashion-friendly we also offer many styles of beds with options of different fabrics and designs. 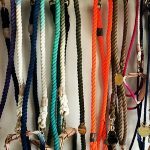 Along with beds, Dog Days Atlanta features a selection of high-fashion collars from Bella Bean, Up Country, Dublin Dog, (as well as others) to keep your dog looking best in show! 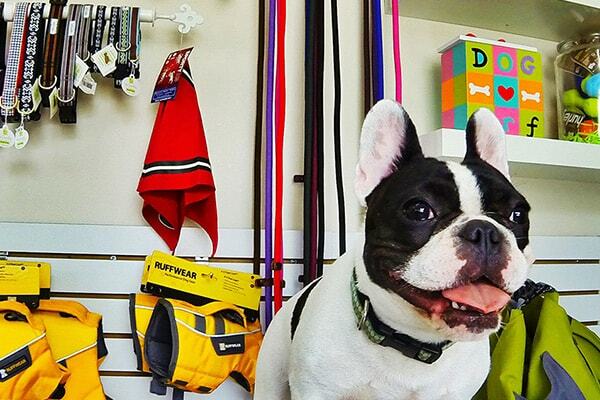 Please come by our store to check out the latest and greatest seasonal accessories and toys for your pup.